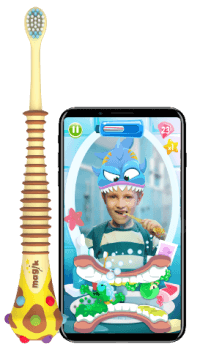 Kolibree’s Magik toothbrush plays an augmented reality game where the children defeat evil cavity monsters by attacking them with their toothbrush. 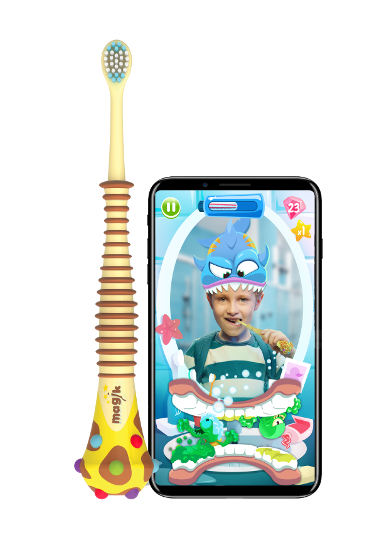 Using a smartphone or tablet, the child sees themselves in a “magic mirror” and fight boss monsters to win superpower masks. 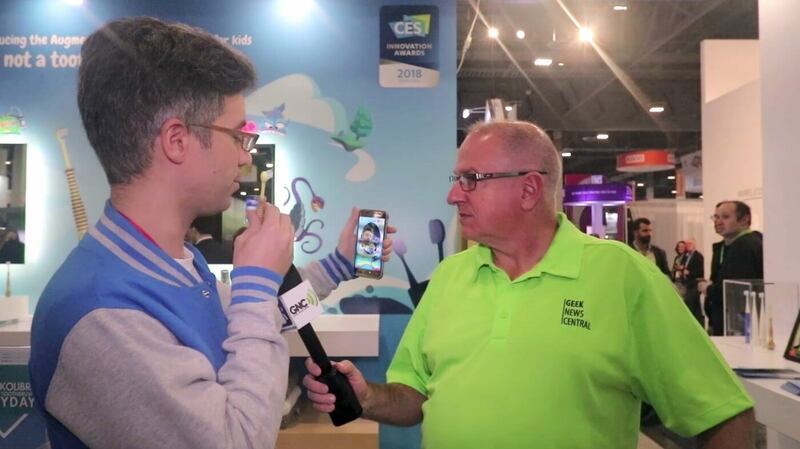 At the end of a brushing session, the app shows the child and parent how well they’ve brushed and any areas missed. The Magik brush is expected in Q3 2018 and Kolibree is looking to price it at under US$30. Sign up at Kolibree to hear when it’s ready to buy.